What Is Foam and Its Purpose? Foam is bunch of tiny bubbles created by foaming agents. But you also need water and air to make foam. The true purpose of foam is to provide contact time on a soiled surface to allow the wetting agents, detergents and degreasers enough time to do their jobs. If you watch television advertisements, they’ll frequently compare the amount of foam in a cleaning product to another to prove that it’s superior. Also, they’ll commonly say or imply that the amount of foam reflects the cleaning ability of product. So, an important question to ask is, does foam directly relate to how well the product cleans? The answer is no. The amount of foam has almost no effect on the cleaning ability of the product. Having a lot of foam isn’t vital for actually doing the cleaning, it’s mostly for aesthetic. In fact, in some cases, the presence of foam will reduce the ability to clean. The perfect example here is an automatic dishwasher, whether at home or in a restaurant, in a dishwasher, foam is a bad thing and will give you poor results. The only time foam comes into play while you’re cleaning is when you’re trying to clean a vertical surface or if you have a need to see where the detergents have been applied. For example, if you try to clean a wall or 18 wheeler truck with a vertical surface, you’d need foam to clean. The foam clings to the wall or the side of the truck and runs down the truck slowly. This allows the detergent time to do its job. In a food processing plant, they use a lot of foam to make sure they can see that the entire area, including all the nooks and crannies, get some detergent applied. In other words, the foam is the indicator. The more foam there is, the harder it is to rinse what you’re cleaning, thus increasing the amount of time spent washing items. When using foam in a dishwasher, the foam creates air pockets making you lose pressure in the cleaning process. The foam forms bubbles around the pump impeller, which commonly which prevents the water from hitting the dishes, therefore hindering the cleaning process. When using foam in a laundry machine you can easily have too much foam that over flows after it agitates. Foam can be more expensive and less effective than other cleaners. Generally, more money within a product is spent on the foam than the cleaner itself. If they took the same compound and left out the foam it would’ve worked exactly the same but would’ve cost less money to produce. A foaming agent in a store brand manual dishwasher detergent is more of a marketing tool than it is a cleaning tool. Make sure you’re not fooled by TV marketing. Instead, make sure you’re purchasing high quality products that clean all areas of your kitchen well. In restaurants, sanitizers and disinfectants are used on items from the restaurant tables to the food prep surfaces to prevent foodborne illness. Cleanliness leads to an overall better customer experience and can make or break a restaurant. Before talking more about things you should know and where to use sanitizers and disinfectants in a commercial restaurant, it’s important to understand what sanitizers and disinfectants are. Sanitizers are used to reduce microorganisms from inanimate environments to safe levels determined by public health codes and regulations. Sanitizing agents are commonly used in connection with food and food-processing equipment. For example, there are sanitizing rinses for surfaces such as dishes and cooking utensils as well as sanitizers for cooking surfaces. While sanitizers and disinfectants are somewhat different by definition, they are commonly used interchangeably as they both kill germs on contact. Now that you know more about what sanitizers and disinfectants are, we can talk about things you should know. 1. The Common Sanitizers: The two common sanitizers used in restaurants are Chlorine and QUAT. Used almost exclusively for ware washing. The positive is that it’s an instant kill. The negative is that it is unstable and “flashes off” rendering it useless soon after mixing a solution. Due to its flash off, it must be tested frequently because even in 15 minutes it can no longer be within the health department limits. This is why it is mainly used in dish machines, as they have a controlled process that kills the germs and flushes out on each cycle. Another negative is that it will rust equipment, eat away at metals and damage clothing or fabric. It also dries out the skin and is harsh in many different ways, which is another reason it is mainly used in dish machines. It also has an obnoxious smell. A product that is based on Quaternary Ammonium (QA) cations. Used for all other areas in the restaurant. Has a 10-second kill, meaning it must be in contact for 10 seconds in order to the kill the germs, but it is steady and consistent. It is forever stable and doesn’t lose its potency for killing germs over time no matter the frequency it’s being used at. It is not a harsh chemical in any way shape or form. It is very light in odor. Chlorine is cheap, however, QUAT is actually more cost effective due to its dilution rate. For each part of QA you’re somewhere between 256-512 parts of water and 1 gallon of QA sanitizer will make as many as 500 gallons of sanitizing solution. Plus, partnering with a company that properly dilutes the chemicals will also save money as they will only use the necessary chemical without any waste, whereas employees may use excess chemicals, costing you more money. The right way is always going to be less expensive. It’s important to work with a chemical vendor to ensure sanitizers are used within a system and that they have proper concentrations all the time. Without a system, employees will attempt to measure very precise and small ratios without the proper equipment making it difficult to dilute at the proper ratio. This is an issue because too little sanitizer can result in unacceptable efficacy, while too much sanitizer can yield residues that do not meet standards. Restaurants are responsible per the health department to test their sanitizers every single day. Test strips are an easy way to test quickly. Because Chlorine is unstable it can be good one day and not the next, especially in a warm area like a kitchen. While QUAT doesn’t have this problem, there is an issue of measuring precisely to ensure the correct dilution, hence why it’s important to not depend on an employee to measure but instead to work with a chemical partner with the proper equipment and knowledge. While washing an item cleans it, sanitizing is necessary to kill the bacteria and viruses. This is why it’s important to make sure items are washed before using any sanitizing chemicals. This goes for everything in a restaurant from dishes to utensils to employees’ hands. In other words, sanitizers are not suitable for washing, but rather should be used in addition to washing. Thus meaning that a chemical like bleach is not a great cleaner, as it kills germs. While it makes stains disappear it doesn’t mean the stain isn’t there. Sanitizers are important to eliminate the risks of food-borne illness. Without proper sanitation of kitchen surfaces, equipment and employees’ hands, microbes can be transferred from one food to another leading to food-borne illness. Where Should You Be Using Sanitizers in Your Restaurant? Sanitizers should be used throughout the whole restaurant. Below are some examples of where they should be used along with tips to improve their uses. Alcohol-based hand sanitizers that contain at least 60% alcohol are recommended as a component of hand hygiene by the Centers for Disease Control and Prevention (CDC). Hand sanitizers are not as effective when hands are dirty or greasy which is why when using sanitizers employees should wash their hands first and then use the sanitizer. Visit the CDC page for more info on when and how to use hand sanitizers. Sanitizers should be used on all prep and cooking surfaces, on cooking utensils, kitchen walls and floors and on all equipment such as grills, hoods, sinks, faucets, ovens, coffee machines and more. It’s important to make sure the sanitizer is strong enough and that you use the sanitizer for the proper amount of time. The most important function of your glass washer or dishwasher is to kill germs due to the fact that if people get sick you won’t have a restaurant anymore. The secondary function is then for the equipment to clean the ware. If you don’t have enough chemical in the sanitizing cycle and/or your dish machine does not have the correct temperature setting, the glasses and dishes will not be disinfected and cleaned well. No matter what type of restaurant you have, it’s necessary to keep your business clean to achieve high customer satisfaction and reduce the risk of spreading germs. Below is a list of important areas to clean frequently with sanitizers and disinfectants. Sanitizers and disinfectants are vital for customer and employee health. Given that cleanliness can affect your business’ livelihood, restaurant owners need to make sure they’re using quality chemicals in the right places in the restaurant. 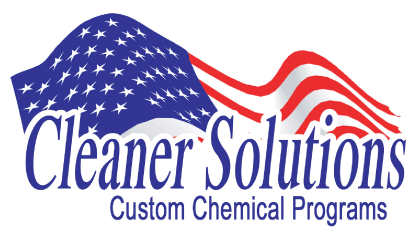 Connect with your local chemical company to ensure you have the products needed to achieve a clean restaurant. Oven racks in a commercial restaurant become covered with food, grease and grime over time, so it’s critical to clean them frequently to reduce issues related to oven performance. By choosing the correct technique and cleaning chemicals you will limit problems with food flavor. Follow the steps below to clean your commercial kitchen oven racks quickly and efficiently. Scrap off any heavy duty build up on the oven racks with a putty knife or similar tool. You only need to remove the really big crusty stuff. Place an unused trash bag on the ground near the oven. Remove the oven rack and place it inside a heavy duty trash bag. Open the bag and spray the oven rack with grilling oven cleaner, making sure it is completely doused so that every part of the oven rack is wet with chemical. Fold the trash bag up over the rack, being careful not to puncture a hole in the bag. Tie the bag closed with a zip tie. Leave the rack in the bag overnight. The next day, take out the rack and spray it thoroughly with water. 95% of the build up should spray off. Place the rack back into the oven. Removing blood stains from surfaces at your commercial restaurant is really simple if you use the correct cleaning product FIRST. In this case, the correct cleaning product is not a cleaning product at all. The correct cleaning product is hydrogen peroxide. Yes, the same product that you have in your medicine cabinet to treat cuts and scratches. Simply pour an ample amount of hydrogen peroxide on the stain and watch it bubble. Once the bubbling stops, clean the stain with ordinary soap and water. But here is the catch, you have to use the hydrogen peroxide before you try cleaning the stain with something else. If you try cleaning the stain with a different product and it doesn’t work and then you try the hydrogen peroxide, it probably will not work because you have changed chemistry. Bonus Time!!! The same is true for red wine and iodine. Use the hydrogen peroxide. A common thing you’ll find in a commercial restaurant is gum stuck to the carpet or other surfaces. While gum sticks fast to these surfaces, there’s a cleaning solution that will help remove the gum and leave your carpet looking new. Follow the steps below for quicker gum removal. Place ice directly on the gum until the gum becomes hard and stiff. The harder the gum is, the easier it will be to clean it off. For small spots use an ice cube or for larger areas you can utilize a plastic baggy full of ice. Chip away at the gum with a plastic cutting knife or spatula until the gum breaks up. Try to avoid tugging at the carpet to make sure you don’t pull up the carpet fibers. Remove the largest portion of the gum first. If there is still some gum remaining after this process, repeat the steps again with new ice. Is your restaurant using Ready-To-Use (RTU) cleaning chemicals? Then it may be time to consider concentrates to save big on cleaning supplies for your commercial restaurant. Buying RTU products to clean a commercial restaurant may seem to be cost effective because of their low purchase price, but they are actually much more expensive than concentrates. Generally speaking, from a manufacturing standpoint, there is more cost in the packaging of a RTU cleaning product than there is in the cleaning agents themselves. If you are buying $1.00 worth of RTU cleaners, $1.00 of concentrates will yield 4 to 8 times as much usable product for the same cost. Purchasing concentrates is the better alternative as you will get high-quality chemicals for less money. Restaurants have saved as much as 30 to 70 percent on chemical cleaning and sanitizing products by switching to concentrates. Why Are Restaurants Not Using Concentrates? With such a drastic cost advantage in working with concentrates, why do restaurants still use RTU cleaning products? Does it make sense that restaurants end up spending 3 times, 4 times, or 6 times as much on RTU products as you would do on concentrates because employees do not work within the system? If an employee was caught wasting 2 lbs. of ground beef to make a ½ lb. hamburger would the system be fixed or would that employee be fired? Why are employees allowed to waste money on cleaning chemicals? Hold your chemical vendor and your employees accountable. Have them install a dilution system that properly dilutes the cleaning chemical. Have them demonstrate that the properly diluted product works equal to or superior to the RTU, which justifies the massive cost savings. Have them train your staff to keep the wasted chemicals to a minimum. Have them be in charge of managing the chemical program along with proper labeling and storage to ensure you stay on budget. If an employee is circumventing a system that works as advertised, they are hurting the business and need to be instructed on how to perform the task correctly. Further, they should be observed to make sure they are following the instructions after training. More than likely an employee that circumvents cleaning procedures will also circumvent other systems (food prep, company policies) as well. So it’s helpful to hold them accountable for all tasks at hand. Complete a training demo with employees (see suggested training demo instructions below). This is your money or your budget. In order to save money and use more efficient cleaning chemicals, steps may need to be taken to hold both your chemical vendor and employees accountable. Once you address both, you can stay on budget. Try the training demo below with employees to help explain the importance of following concentrate instructions and how it will lead to the best cleaning results. 2 Quart bottles with sprayers. 1 Quart of glass cleaner concentrate. 2 Clean small towels for washing a window. During a training meeting invite an employee to a cleaning contest and explain that you will each clean one window or mirror. Have the employee mix a quart of glass cleaner using the concentrate and water. Explain that he or she can use as much of the concentrate as they need or want. Then you mix your glass cleaner, mixing the product exactly as directed by the products label. Both you and your employee should then start cleaning the windows at the same time. See who finishes first and with the best result. Make sure to fold your towel into a ¼ fold and use one side for cleaning and one side for wiping dry. It helps a lot. Make sure to use small towels. Make sure to choose an employee who frequently does not perform tasks correctly. What will more than likely happen during the demo? The employee will mix the glass cleaner way too strong and it will smear all over the glass. He or she will use their small towel to wipe up a lot of extra chemical. You will finish quicker with a better result and the employee will understand the difference it makes. The point will be made that more is not always better and that it’s important to follow the exact instructions in order to perform well and help the business cut down on wasted chemicals.